It has a rip of all of the maps, as well as many additional information to help you get through the game! It is work-in-progress, though a large chunk of information is already on there. We can’t release tools like a map editor right now. We hope that LA-MULANA is known widely, and we become able to manage to raise the fund for making tools such as map editor. Once again, NIGORO, Do you guys plan on releasing any sort of tool for editing the time attack maps? I recall you had such a tool for the original PC release. It wasn’t well documented, though. Do you have any plans to expend the game at some point ? Or release a level editor ? I’m still having problems when I run it in Compatibility mode and as an Admin. The game starts in a tiny window so small that I can’t see anything at all, and I can’t resize or fullscreen it. I can hear the game music and sound, however. Does anyone have a clue what’s going on? I’m running windows 7 64-bit. Is there a reason why the statues in Goddess Tower were censored in this version? I thought you were okay with it in the Wiiware version. Thank you so much for the english version of this remake! I once played the original game but got stuck halfway through and stopped playing it because I was so frustrated. So I gave it another shot with this super awesome remake, and I’m loving it. but long story short; right now I’m stuck and I really don’t know where else I should go. I then checked the map and found like 3 rooms with magenta colored borders around them, but what is the purpose of those borders? I would appreciate a map legend. Hey username “retard” or anybody else using wine. Ever get this to work with keyboard, or does a gamepad work? I don’t have a gamepad, but am having the same issue with the keyboard not working at all on wine 1.5.8 on my mac. I have a Integrated graphics card intel g33/31 and the game only show sprites! Is there a way to fix this? The game is great! The graphics and the music are very very good. This game is every bit as fantastic as it was the first time I played it way back. Thanks for making it even prettier (well, let’s say pretty in a different way since the other captured the beauty of the MSX perfectly). I’m in the process of convincing every single person I know to get this game. How can anyone not love it? I remember having the same problem with the first Dead Space. And to be able to play it, I had to plug another screen to my laptop!!! Is there another solution for me to play it on a laptop? Hi, This checker is very simple. But very strict to keep specification of La-Mulana. Probably, your system does not have display mode that has over VGA resolution with 60hz refresh rate. We think your system probably can run La-Mulana. Funny, because the original wasn’t on steam and did quite well, even with no developer help in a translation. There are other ways out there, Steam is fine but not the only option. Also, it’s been out for less than a week, it’s always a future possibility. 1. Hey NIGORO, Do you guys plan on releasing any sort of tool for editing the time attack maps? I recall you had such a tool for the original PC release. It wasn’t well documented, though. 2. To the people asking for a way in the pause menu to go to the title screen, it IS there. It’s on config, under ‘reset’. You can even load your quicksave. …or you could just die in the game, with the same results. I beat it and playing through again to find how soon I can get certain treasures. I just added it to Steam as a non-Steam game. Feels good, man. Not releasing on Steam means this game will ultimately die out. Kinda like not releasing anything for three years. It is time to don my pirate hat. An exceptional job, congratulations to the entire team Lamulana, I enjoy like the first MSX games as the maze of Galiu and Usas, I love calsic style 2D games, and i thik Lamulana is the best ever made. This experience feel truly unique, carries a soul. Admire how much craftmanship, cleverness, passion was put into your project. It shines through. When playing I get the feeling you had tons of fun creating the game. Only thing that can annoy me is the Axe animation. It feels unfinished. Will come back to this for a double dose of nostalgia. Hope it someday get a sequel! Outstanding in every regard. After more than two years of delays and misfortune, it is great to finally have a chance to play this new version of one of my all time favorite games. I hope you guys sell a million copies, you certainly deserve it after all your hard work. Playing on win7 64 and no issues. I installed it at C:\Games\La-Mulana\ and it works fine! I’m having lots of FUN. FUN FUN FUN. The game seems to be running perfectly under Wine 1.5.8 – except for the keyboard being completely unresponsive. If the game worked under linux (like the original La Mulana does – wonderfully!) it would probably expand your audience. Apart from the keys being completely non-responsive, everything looks great – I will try to find my gamepad and see if that works any better. I love your game, and can’t wait to play it! I’m loving this game, I discovered the original a few weeks ago and when I was half way through I read about the remake coming to pc! It’s awesome. I’ve found a weird bug however, when fighting against a couple of big flying faces with lasers in Tower of the Godess my game crashes right when I beat them, I don’t know if it’s a bug or something is messed up with my pc… I hope it’s not a game-breaking bug! Well worth the cash I put out for it. The exploding chest was so genuinely surprising that I didn’t even mind when I died to it. I’ve been completely hooked so far! I love the slight changes added from the original as far as item locations and map designs — really makes it an original experience! One thing to note — BAHAMUT IS EVIL AND I HATE HIM. Although, on Hard Mode, the bosses are so difficult ;n; I didn’t expect you guys to change boss difficulty in Hard Mode since it didn’t in the original! Does the PC release include Hell Temple, by the way? Blechy, I think if you want to make some money, you have to explore again the levels. That’s what I do, I can’t be bored with this game, so I warp to the Surface, and do all my way without warping to another place. I really enjoy the remake of LA MULANA but I found a bug. When I use my XBOX 360 Wireless Controller the game sometimes hang itself up if I go for example to the options menu and then renturn via EXIT to the main menu. How do I quit the game and return to the main menu or desktop after I played? I was never able to make it through the original, this one seems easier in one way and harder in others, but keeps the same overall feel of the original. I’m glad to see some changes big and small too, and enjoying the game very much. 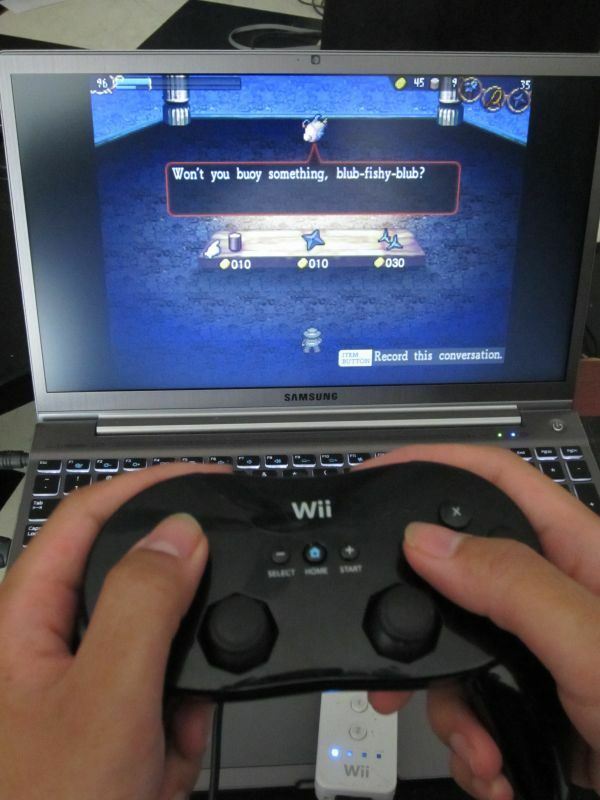 Had no problems installing/playing at all on Vista (even with accidentally installing in the same folder the old game was in) and using a Logitech Dual Action gamepad works perfectly with no extra effort. hello, I found another little bug. It seems if you leave the huts at the start really quickly, the little text recorder thing will bounce back and fourth and never go away. It will just bounce left and right at the bottom of the screen. I’ve been having a lot of fun playing, and definitely consider it a great remake. The execution is harder than the original but still fair, and the puzzle solving is easier, aided by the text tracking rom. The one thing I don’t like is that as far as I can tell the pot spawns don’t replenish themselves – this has led to needing to buy a lot of ammo/weights, but I feel like if I run out of money I’m going to be totally screwed. Fortunately it hasn’t been a concern yet, but I’ve been extremely conservative with my ammo. There might also be some way of replenishing them that I’ve totally missed. I also wanted to apologize, because in the early early stages when art was first being posted, I said that I didn’t think the visuals would work. While I still prefer the look of the original, the look & feel of the remake are great, and it’s definitely a lot of fun. I hope it sells well and I look forward to your future games! But seriously, this is a wonderful game, and I can see myself playing this a lot. When I played the 8-bit version, I thought it was impossible to make a game more difficult and more fun, and you guys somehow pulled it off. Being a retro fan, I was actually shocked I enjoyed the 32-bit version of the game more than the 8-bit version! I especially enjoyed the shoutout to the person who commented about the Shield controls in duplex’s Developer Room. A better solution for the Window 7 x64 issue is to put the game in your user directory. I do not like running apps as admin if can avoid it. I’ve been getting the save glitch, so I tried out the method you used, and it works like a charm. I have to get an approval every time I run the game, but otherwise, it works just fine. Thanks a lot, you guys. I’m enjoying the game immensely. I run Windows 7 64-bit and I don’t have any problems. Thanks for bringing us the game! Lots of twists for returning players in here. I swear I half-expected to be able to find certain items or secrets in places, and got fooled because of the changes. Xelpud does seem to have a new humorous value to him. Ultimately, I’d say it’s more difficult in some areas than it used to be…I can’t tank with the Knife and spam like I used to be able to. You have to play more strategically, because many of the enemies have different tactics and weaknesses now…I’m now messing around in the backside, and just got the Feather. Hey guys, I just wanted to thank you for finally releasing this game in America. I know it was a long and difficult process, and I appreciate all the effort you put into it. I’m enjoying the game a lot! By the way, i have also bought the japanese guidebook, only for collection… And for aid Japan, of course. I do not speak and read japanese, but the illustrations are absolutely wonderful!!! I hope to see the guidebook translated at least in english. Currently playing on Windows 7 x64, no problem. I don’t have set the XP compatibility nor launched the game as Administrator. This remake is absolutely fantastic! I love La Mulana, I just played the first 4 hours and I feel like being 8 years again playing Usas on my MSX2. Thanks for making this game. I’m just sad about the non physical format, but nowadays it’s digital is faster and cheaper, I understand. It works for me on Windows 7 x64 without any changes! But the option screen freezes the game when nothing is being changed in the options before exiting options. Also, there should be a way to go back to main menu from the map screen or inventory screen! I LOVE YOUUUUUUUUUUUUUUUUUUUU !!! !